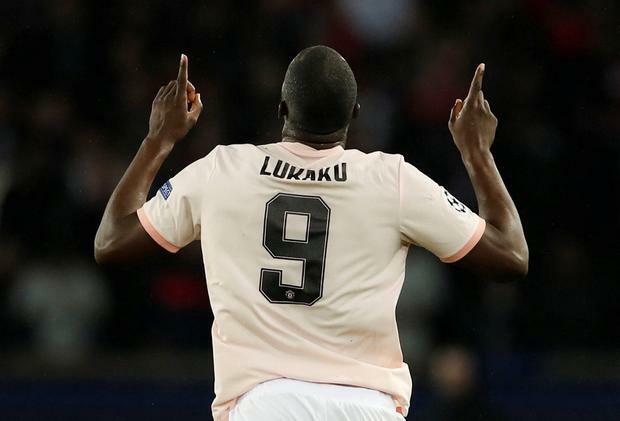 Romelu Lukaku had not scored in six Champions League matches this season - but that changed on Wednesday night. The Manchester United forward netted twice in the second leg of the Champions League last-16 tie against Paris St Germain. Here, we assess the impact of the Belgian on what was a marvellous night for the player and his team. Lukaku was on the front foot straight away, taking less than two minutes to breathe life into a cause which many felt was lost, coolly taking the ball around Gianluigi Buffon and slotting home. He did not let his head drop when the hosts levelled, continuing to put pressure on the hosts - and was rewarded with a second goal when Buffon's handling gave him a chance. Needed treatment for an apparent ankle issue in the 57th minute - but was soon up and about, showing his commitment to the cause. Always made himself available to team-mates, with Marcus Rashford his closest ally for much of the contest. Was left disappointed in the first half, however, when he made a good run into space but was ignored by Rashford - who went for goal himself and fired wide. Could have advanced on goal midway through the second half but unselfishly tried - and failed - to pick out a team-mate. The Belgian emphatically ended his European drought. Showed good strength, pace and tenacity for the opener and, after the hosts had equalised, gave United renewed hope just before the half-hour mark when he pounced on Buffon's error. Almost had a third in the 42nd minute but the Italian goalkeeper showed better handling as a cross was deflected goalwards.